Share your favorite River Bliss image(s) in a folded, blank greeting card, Cards measure 5″x7″ and come in packs of 10 with envelopes. 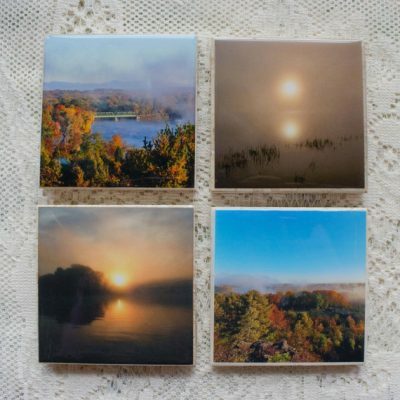 Choose any photo(s) from my Contemplative/Nature photo gallery or blog post and have it printed as a set of 10 blank greeting cards that measure 5″ x 7″. Simply indicate the name of the print(s) you’d like in the “Order Notes” box on the billing page during the checkout process. You may choose up to five different images. These fine art photos will be printed by a professional lab with archival quality paper and inks for rich and stunning colors, affixed to white cardstock, and packaged with white envelopes measuring 5 1/4″ x 7 1/4″. Each card is signed by the photographer. Cards will be packaged in water-resistant plastic and mailed in a stiff mailer to ensure they arrive in perfect condition.